CNH, also known as Chondrodermatitis Nodularis Helicis, or ‘Winklers Disease’, is a pressure sore which forms on the ear. It can affect anyone of any age, but if you are over 55 and habitually sleep on your side, you are more likely to be affected by it. Why did I develop CNH? Chondrodermatitis is caused by friction, pressure and time. As we age, our skin becomes less resilient and less able to repair itself quickly. A lifetime of sleeping on one side, rubbing your ear against a pillow, ultimately leads to a pressure sore forming. CNH will initially look like a small red patch of skin. It will be warm, sore to the touch and may appear flaky. Over time, as pressure and friction continues to work against the ear, the skin deteriorates and a pressure sore forms. CNH is essentially the same as a bed sore and like with a bed sore, the pressure must be removed in order for it to heal. Yet the typically prescribed treatment remains steroid creams and surgery. This is ineffective as it doesn’t address the root cause of the problem. This fact is clearly reflected in the recurrence rate of CNH, which remains stubbornly high even after surgical excision. You may well have experienced this yourself. If you were referred here from your doctor, that’s great, you have an enlightened one. Give them our regards! People can suffer for years with little relief from conventional approaches. 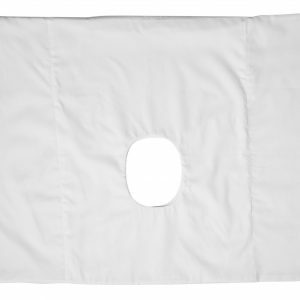 However, when using this pillow you will feel immediate relief and after just a couple of weeks of use, your CNH will have resolved itself completely. 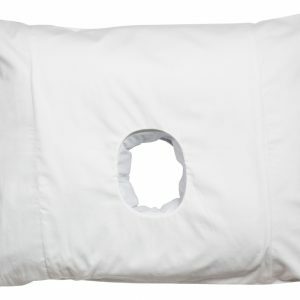 We sincerely believe that you will love our pillows. They have changed the lives of thousands of people around the world, something we are very proud of. Therefore we want you to try them out with as much confidence as we can. Try it out, sleep on it, play around with it and if it doesn’t suit you, simply return it within 14 days of receipt and we will give you your money back. As simple as that. For more information on Nutrition and CNH or The Pathology of a Pressure Sore, click the two links in this sentence. All of our pillows are made in England from the highest quality materials sourced from Lancashire mills. 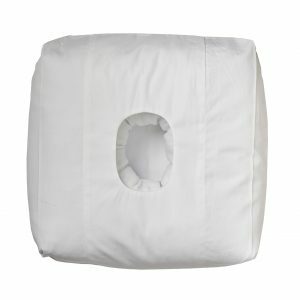 We stand by the quality of our pillows and take the welfare of our customers extremely seriously. If you have any questions or simply want to discuss CNH, feel free to contact us below.